Monday, January 28, 2019 ~ 10:00 a.m.
Sunday, January 27, 2019 ~ 5:00 – 8:00 p.m.
Ron A. Bartek, 58, of Wahoo, NE, passed away on Wednesday, January 23, 2019 at his home near Wahoo, NE. He was born September 7, 1960 in Wahoo, NE to Edward and Marie (Fiedler) Bartek. 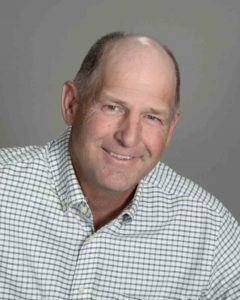 Ron attended District 23 country school and graduated from Bishop Neumann High School in 1978. On June 17, 1989, he was married to Cindy Nichols in Omaha, NE. Ron was a lifelong farmer in Saunders County with his brother Doug. He was an active member at Bethlehem Lutheran Church and he was active at the Wahoo Food Pantry. Ron was a member of the Saunders County Livestock Association, Saunders County Corn Growers, Saunders County Soybean Association and a past member of the Knights of Columbus. Ron also was on the board of directors of St. James Pre-School. He enjoyed his family, spending time with his cats and gardening Zinnias. He is survived by his wife of 29 years, Cindy Bartek; children, Josh Bartek and Emma Bartek; siblings, Janette Bartek, LuAnn Bartek, Beth Bartek, Laurie Bartek, Donna Bartek, Chris Bartek, Greg Bartek, Doug Bartek and Kevin Bartek; mother-in-law, Donna Nichols; many nieces, nephews and friends. He was preceded in death by parents, Edward and Marie Bartek; brother, Lee Bartek. Shane, Karson, and I love you and pray Jesus wraps his arms around you to give you comfort with his merciful love. I listened to the song Well Done by The Afters. If you can, please listen to it. My heart aches for you, dear friend. Deepest sympathies to the family!! May you find solace in your memories and in the company of family and friends. God’s blessings and Christ’s love. We extend our sympathy to Ron’s wife, Cindy, and to his children, Emma and Josh, and to Ron’s 9 brothers and sisters, nephew and niece, sisters-in-law, cousins and friends—all who loved Ron so much. Besides being a wonderful husband, father, brother, successful farmer, Ron was a man of faith who served his God by taking care of the poor and those in need. May Ron now rest in eternal peace with Jesus our Savior! Ron was my cousin, classmate, and we shared the same birthday. Growing up, my family would visit his family…we loved spending time outside on the farm, and climbing up to the swing high in the tree. There was always a kolache or 2 offered when we went in the house. I will miss you Ron. I extend my love and prayers to all his family. Cherish the memories of your kind and thoughtful husband, father, and brother. My deepest condolences in the loss of a wonderful husband, father, and brother. I am so sad to hear this heartbreaking news. He will forever be very missed. As a close friend to sister LuAnn, my heart goes out to all of you. Ron is now in the arms of our Lord. Ron was like a father figure to me growing up and shaped the person I am today in more ways than I can recall. This man was one of the most selfless and caring people I have ever had the privilege of being around in my life. Whether Josh and I were riding on the 4 wheeler around the farm, hanging out at the lake house on the boat, or watching the Husker games in the basement of their home – I was always welcomed with open arms. Not everyone is fortunate enough to be graced with such a bright spirit such as Ron, but I was. I will miss you Ron, you changed my life for the better and I will forever be grateful. May these verses give us all comfort that our faith in Jesus Christ shall comfort and deliver us from this pain of loss we feel today as we remember Ron as a good husband, father, brother & friend. May we all pray to seek the vision of Ron beyond this mortal life that he is free from pain and cancer. Now, may we find comfort and blessings of our Lord Jesus that we will be reunited with Ron in the heaven. Our prayers will be for the Bartek Family. I cannot write the proper words to tell them of our feelings for these losses. My heart goes out to the entire Bartek family. you have my deepest sympathy and are in my thoughts. So very sorry to hear this. Ron was a great neighbor and I always enjoyed talking with him when he was harvesting or planting nearby. He will be missed. Sending prayers for peace, comfort and healing. 2CORINTHIANS 5:12 FOR HE MADE HIM WHO KNEW NO SIN TO BE SIN FOR US , THAT WE MIGHT BECOME THE RIGHTEOUSNESS OF GOD IN HIM. RON KNEW THIS AND WAS A GREAT FRIEND, TAKE COMFORT IN KNOWING THAT WE WILL SEE HIM AGAIN IN HEAVEN. OUR THOUGHT AND PRAYERS ARE WITH YOU. LEAN ON THE LORD TO GET YOU THROUGH THIS. Anne and I have so many wonderful memories of fun times in our younger days, with Ron and Lee. What a wonderful friend and first cousin. His smile and demeanor will always be remembered. May he rest secure in the bosom of the Lord, joined again with those in the family who have gone before. Peace to you Cindy, and Josh and Emma. We grieve with you, but retain hope in meeting with Ron again in heaven. Sad to understand a producer has left the fields here for a better place. Glad to have walked a few hearson his acres. Celebrate his good and share stories of life. Sadness surrounds me, and my prayers go out to all of Ron’s large family. May God guide you through this sorrowful time with the help and caring of your church and friends. I am so sorry for your loss.Prayers for you all, that good memories are a comfort when the pain is hard. My heart aches for you in your loss of Ron and Josh. May you find comfort and peace in the love and support of family,friends and your deep faith in He who loves and sustains us. My deepest and most sincere sympathy. Please accept my deepest condolences on the death of two family members. How shocking and sad. I attended Dist 23 one year ahead of Lee so knew him and Jeanette really well. Our farm was just west through the section. Our family thought very highly of yours. My sister Deanna, who passed away last June, and I attended the cousins picnic in Wahoo several years and were always so glad we had that opportunity to see everyone after all those years. You all will be in my thoughts and prayers in the months ahead.